Over the next few weeks, leaders of every college team will be sitting down at a table to discuss one very important aspect of their upcoming season: practice. Questions like who will plan and run practice and what skills will be prioritized so their team will develop best over the next several months will be asked argued over, and– hopefully– agreed upon. Part of this discussion will include the successes and failures of the team in years past: what worked before will hopefully work again and what didn’t work before should be revised. But what if, despite the progress we’ve made in developing practice plans and strategies, the way we currently run practice is not the best option? What if everything we thought we knew about practice could be changed for the better? 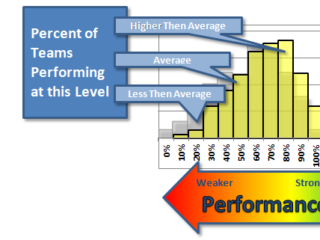 Would a team risk experimenting with these drastic changes for a chance to perform at a higher level? The way I plan practice has changed drastically over the years. 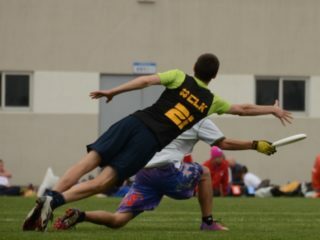 Captaining my last year at Ithaca in 2007 meant showing up, hastily picking a few drills to do during the warm up, and then spending a majority of time scrimmaging. When captaining a nationally-ranked team in 2009, I would meet with the other leadership an hour before practice, discuss what the team needed to work on that night, and draw out plans on a decrepit old white board until the rest of the team showed up. Coaching the Arizona Women’s B team meant seeing how many people would actually show up and then figuring out what to do: one or two players would mean mostly throwing and catching focused practices, while more meant running drills and systems. Captaining on my last women’s club team was much more thought out: spending hours doodling in my blue notebook, sending out skills or strategy focused plans to my co-captain (who ran separate practices out of Phoenix) the day before, allotting time for clarification and changes. Despite my progression in planning, all the practices I ran were essentially the same: a brief talk in a huddle about goals, a warm up, drills (warm up drills and focused drills), scrimmaging, and conditioning. I’ve noticed this same formula (with perhaps different ordering or emphasis) on every team I’ve played on. We spend most of our time during the season focusing on how we work together– how we solve problems together and how we function as a unit together– and with good reason: A team sport requires players to know each other’s likes and dislikes, their strengths and their weaknesses, and ways they can help each other perform at their best. Players can take the necessary time during the off-season or outside of practice to work on individual skills but have only a very limited number of hours during the season to learn how to best work with each other. After trying out for Fury–a process that involved lots of mistakes, lessons learned, and plenty of things to change for next year–I got to thinking: what if it wasn’t just my training that needed changing. What about practice? What about when we practice, how we practice, and how this should change just before a competition? 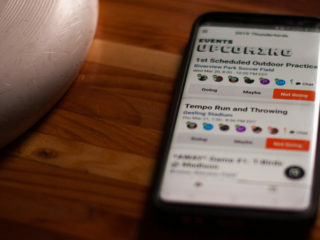 What if there were aspects of others sports we could draw from to improve our abilities on the field? While you can tailor individual training to individual needs, practice is completely different. We need to consider each person, each drill, each skill as pieces of a big puzzle that needs to fit together neatly. How can we change our strategies for putting the final picture together without fear of wasting time or ending up with a product that looks nothing like the picture on the box? In order to find a new and better way to practice, I started asking a lot of questions to a lot of different athletes: swimmers, gymnasts, dancers, runners, soccer players, and softball players, to name a few. They ranged from high school players to professional athletes. 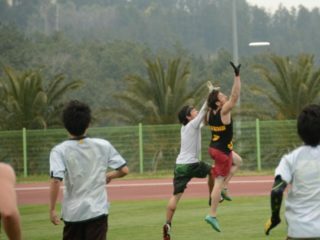 I asked them what they did to train, how often they trained, what they did to prepare for competitions, and what aspects of their sports might help ultimate teams progress. 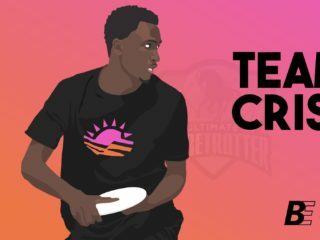 Fifteen interviews and nine pages of typed notes later, I started seeing trends in the way other athletes practice that don’t currently exist in ultimate. I sat on this idea for a while, a bit daunted by how much information I had, and then finally took the plunge to start writing a single, simple article about practice. After about the second paragraph I knew that my findings merited much more detail than a few hundred words could offer. The idea and execution of practice is so important it needs to be broken down into segments. Each segment needs an explanation of what works, what could be changed, and examples teams can use to implement that change. So for the next few weeks I will be writing articles about the following aspects of practice: how often we practice, what we practice, how we practice, and practicing for tournaments. Each segment will include information from multiple sources, including the many interviews I conducted. It won’t provide the answer, but hopefully it will provide an opportunity for discussion and potentially new and better ways teams can implement this season.